Tehran, May 24 (Just News): Iran’s supreme leader set out conditions for Tehran to stay in its nuclear deal with world powers, including steps by European banks to safeguard trade with Tehran after the US withdrawal. European powers must continue buying crude and protect Iranian oil sales from US pressure, and promise they won't seek new negotiations on Iran's ballistic missile programme and Middle East activities, Ayatollah Ali Khamenei's official website said on Wednesday. European powers see the accord as the best chance of stopping Tehran acquiring a nuclear weapon. Khamenei said over the past two years the United States "has repeatedly violated" the nuclear deal but the Europeans remained silent. He asked Europe to "make up for that silence" and to "stand up against the US sanctions". 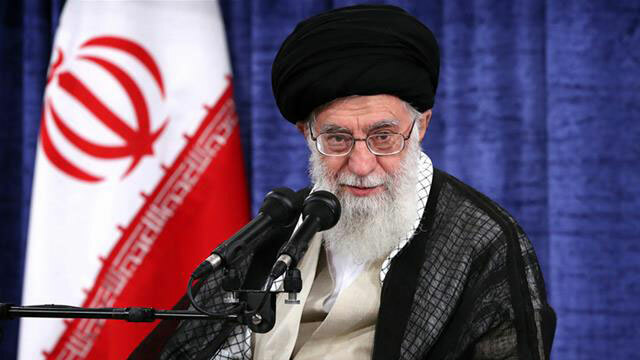 In his first public remarks since US Secretary of State Mike Pompeo demanded Iran make sweeping policy changes, Khamenei expressed revulsion at what he suggested was the casual and boastful way the Trump administration abandoned the accord. Fears have been raised by pundits in recent days that a military confrontation could play out after the US abandonment of the nuclear deal and its imposition of new sanctions. A senior Iranian military official, Major-General Mohammad Bagheri, said Iran would not bow to Washington's pressure to limit its military activities. The United States "does not have the courage for military confrontation and face-to-face war with Iran", he said. On Tuesday, the United States has imposed new sanctions against officials of Iran's Revolutionary Guard for allegedly providing ballistic missile-related expertise to Houthi rebels in Yemen. The elite Guard said in a Wednesday statement: "The American leaders ... have got this message that if they attack Iran, they will encounter a fate similar to that of Saddam Hussein."